Well, I’ve been away for a while. Sorry about that. There is a story behind it and I shall share it with you. I always like to upload pictures (this being a blog about what crafty things I have been making). I’m a very visual person and the blogs that I like to read always have lots of pictures. Over the last few months I have actually had a number of blog posts in my head but unfortunately the magical house pixie (also known as the magical sock fairy……where do all those odd socks go?!) had moved my camera lead and I couldn’t upload any of my pictures. Try as I might, I could not find my camera lead. I looked everywhere! Finally after many frustrating searching and slightly grumpy hints to hubby, I finally gave up and asked straight out to borrow hubby’s camera lead (one that I don’t normally use as I do have a habit of misplacing things….). At this point hubby informed me that he had found my camera lead ages ago (as it turned out, in the safe place I keep it) and had put it in the laptop bag to keep it safe (which is I think fair enough……after all I do misplace things……I can’t believe that I didn’t check the laptop bag!). Anyway up shot is, I can now get my pictures off the camera. I have actually been very busy the last few months. I managed to finish all the various pressies for friends having babies. 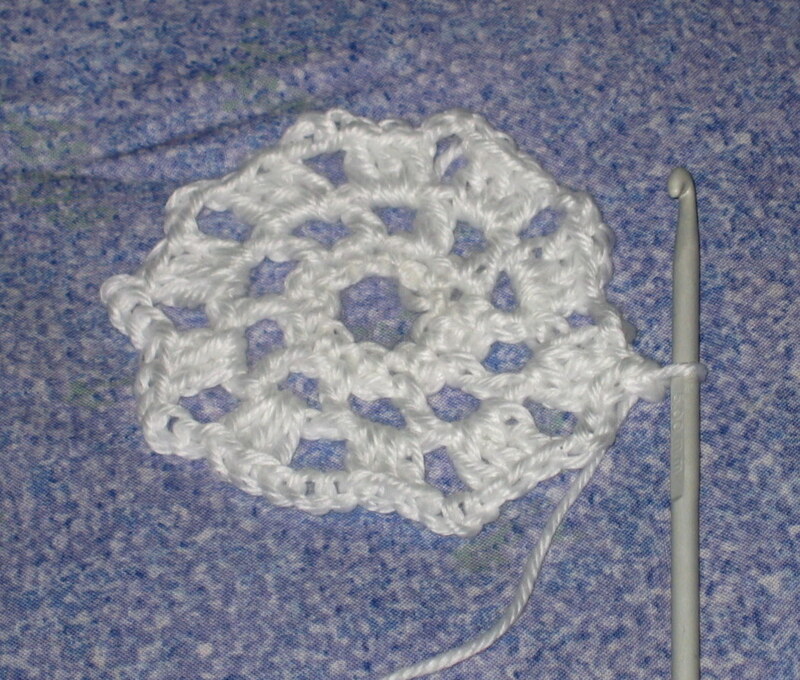 I have also taken the plunge and taught myself to crochet. I don’t know why but I thought it would be really hard. I think it’s because I’d been told that you either knit or crochet. Turns out that’s not true. 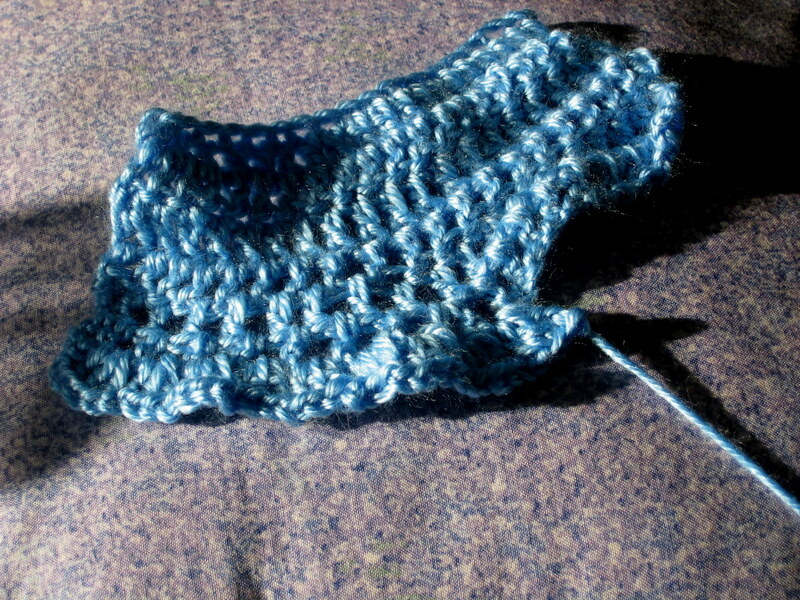 It also turns out that I love crocheting! The picture above is my very first go. It’s very messy because I wanted to work out what different stitches looked like and what effect a chain stitch has. I pulled it apart afterwards. This is my first go at working in a round. I pulled this one apart too but because I wanted to use the wool in another project that I had decided on. I’m going to be cheeky now. I have actually done a lot more crocheting since these first tentative steps but you’ll have to wait for my next blog post to see what they are!